You are here: Home / Travelling with Kids / Are these the best travel cot mattresses? 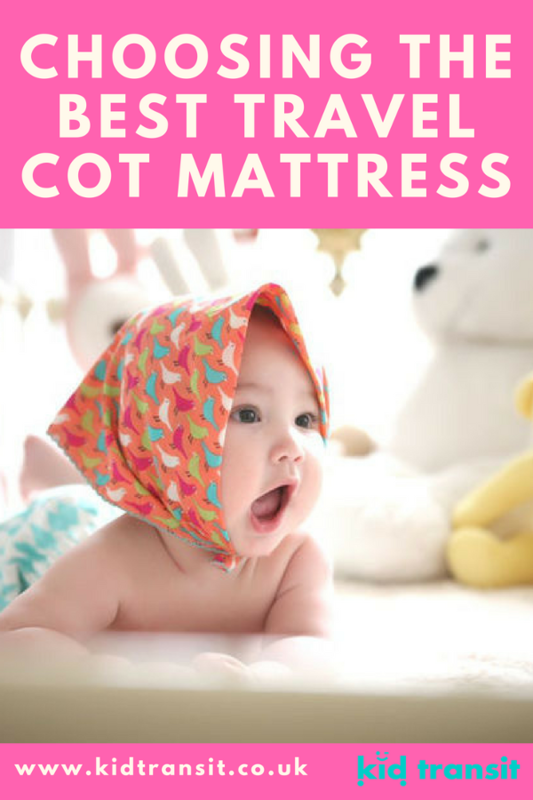 We’ve written about the joys of owning a travel cot previously on this blog, however, we haven’t yet fully address the problem of how to get the best travel cot mattress once you’ve wrestled the annoying amazing travel cot into place. All travel cots come with a usually quite thin and hard mattress that does the job for the odd night but really won’t do for a full holiday. In the past we’ve resorted to folded duvets/ blankets to make it a bit comfier and Grandma has even cut a piece of foam to fit for when we are stopping with them! 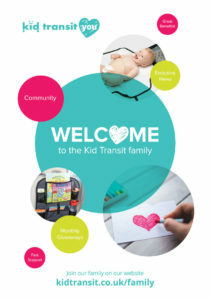 When Kid Transit went to the Kind und Jugend international trade show (for kids first years) in Cologne in September we took along our daughter. At the lovely Airbnb we stopped at, they offered us a travel cot (and put it up themselves saving us the swearing) and then busted out a folding travel cot mattress that fitted perfectly. Why oh why hadn’t we thought of this previously?! Our daughter is getting a bit on the big size for travel cots now so we haven’t invested but we thought we should share the find with all of you lovely readers. Not altogether unexpected, we found a great company at the tradeshow selling some of the best travel cot mattresses around. Obviously, with our interest piqued we had our eye out for this particular product! The company started back in the early 90’s with an idea of innovating new products that would improve the lives of babies and children around the world. Their first products were cot mattresses so they have spent a lot of time and research on developing and refining their products to those that are available for the market today. The mattresses are based on a durable sealed design instead of the standard foam style mattress which really lends itself to an easily portable and lightweight product- two of the key things for a good travel cot mattress. Kit for Kids has a number of different versions of the travel cot mattress including tri-fold design ones. The Eucalyss is their newest product which also has a natural treatment on the fabric designed to repel biting flies. A good extra for when you’re travelling to different places that might have midges or mosquitos. The KidtexTM folding travel cot mattress has a water repellent cover so you can be reassured that any spillages or accidents won’t damage your mattress and make it easier to clean up. The VentiflowTM folding cot mattress is the final version and has a highly breathable top cover for great airflow around your baby and a good choice for hotter countries. Each of these mattresses also come in a flat version. 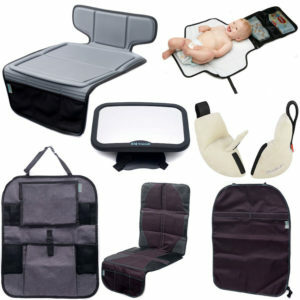 This is useful if you’re using the travel cot as a more permanent bed for example everytime you visit grandparents. 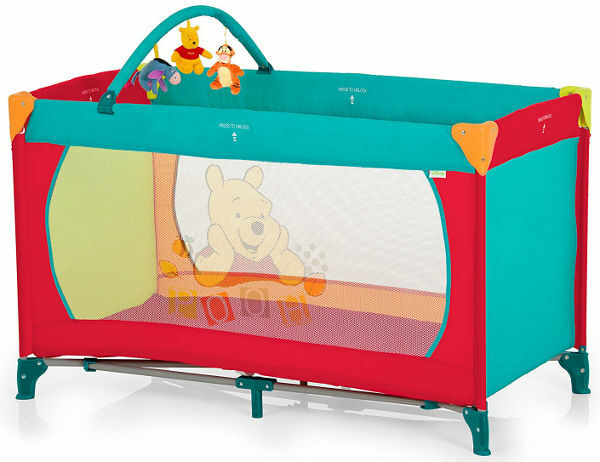 They can have the extra mattress easily stored somewhere and pop it in the travel cot when you visit. They are also thicker than the folded versions so will provide even more comfort to your baby when they are using the travel cot. Kit for Kids sell their travel cot mattresses over on Amazon, and they have some happy customers judging by the reviews for the KidtexTM versions of both the folded and thick travel cot mattresses. Travelling can be a stressful experience sometimes when you have little ones so trying to keep their bedtime and sleep environment the best it can be is a must. A good nights sleep for you and your baby will make any travelling loads better. Having a good, comfortable and safe mattress in your babies travel cot will really help with this.